The Ancient Greek events have played a significant role in framing the groundwork of Classical and Modern Greece. The Archaic period in Greece saw different political and geographical developments. 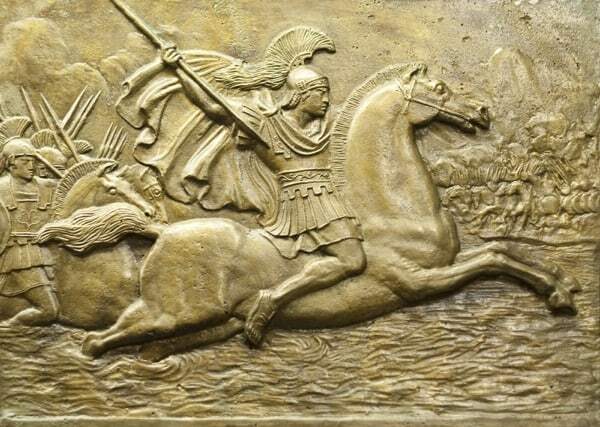 The greatest war of all the times; the Trojan War, the composition of earliest surviving Greek literature; The Iliad and The Odyssey, the invention of Olympic games, and many such events circumscribe the boundaries of ancient Greece. The flurry of development of the Archaic Era was followed by the period of maturity known as “Classical Greece”. Where the events in the Archaic time were purely artistic, the Classical Era moved towards a more naturalistic approach. 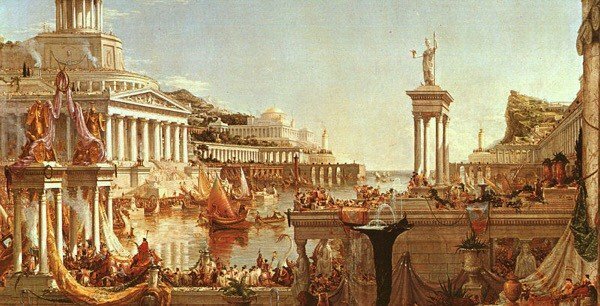 Listed below are some major events which throw light upon the structures, developments, and tragedies that took place in the bygone age of Greece. Mycenaean civilization forms the declining phase of the Bronze Age in Ancient Greece. It showcases the very first advanced culture in Greece, followed by its plush states, works of writing and art, and public organization. The Mycenaean Greeks took forward innovations in the different fields of military infrastructure, engineering, and architecture. These discoveries were helpful in influencing the trade over the areas of the Mediterranean to carry forward their economy. Moreover, the Linear B, their syllabic script, confirms about the first written records in the Greek language. Their religion included many deities that are also a part of the Olympic Pantheon. The civilization was under the power of elite warrior society which consisted a web of palace states. These states developed political, hierarchical, economic and social systems which were not subjected to any flexibility. The king or the wanax was the head of the society. The existence of Trojan war has always been ambiguous and debatable. Where some scholars take it as a myth, the others have found solid proofs pointing towards its reality. Trojan War, in Greek mythology, is the battle between the people of Troy and the Greeks. The tiff began after Paris; the Trojan prince took away Helen, the wife of Menelaus of Sparta. When Menelaus asked for her return, the Trojans straightaway denied to give her back. Menelaus then cajoled his brother Agamemnon who headed the army against Troy. Agamemnon had with himself the Greek heroes Ajax, Achilles, Odysseus, and Nestor followed by a fleet of more than a thousand ships from all over the Hellenic world. For the next nine years, the Greeks wrecked Troy, its neighboring cities, and countryside. But the well-fortified town, adjured by Prince Hector and other sons of the royal Trojan family, held out and won the war. Not accepting the defeat, the Greeks built a giant void wooden horse to hide small groups of warriors within. Despite the repeated warnings of not to take the horse by both Laocoön and Cassandra, the Trojan king let it in. At night the Greeks returned, and their hidden companions swept out of the horse. They opened the city gates, attacked each, and everyone who came in their way and Troy was finally destroyed. 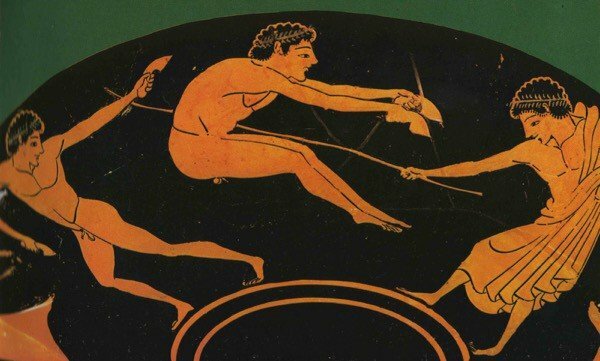 The ancient Olympic Games were primarily considered a part of a religious festival which took place in honor of the father of the Greek gods and goddesses, Zeus. The celebration and the games were held in Olympia, a rural sanctuary site in the western Peloponnesos. This sanctuary’s name came from Mt. Olympos which was the highest mountain of Greece’s mainland. The hill served as the home of the Greek gods and goddesses. The ancient Olympic Games started off when in the year 776 BC, Koroibos, a cook from the nearby city of Elis, victor the stadion race. It was a 600 feet long foot race. Apparently beginning with just a single foot race, the program possibly increased to twenty-three contests An Olympiad only featured not more than twenty of these. Participation in most events was limited to male athletes. Certainly, it was just the equestrian events that made some space for women. They took part by entering with the horses in these games. Running, boxing, pankration, horse racing, wrestling, chariot racing, two stade race, long jump, discus throw, and javelin throw were some of the main events. The Tyrants were the oppressive rulers in Greece. The most popular tyrannies were those founded by Orthagoras at Sicyon and Cypselus at Corinth in about 650 bc. The most famous tyrants of Asiatic Greece was Thrasybulus of Miletus. The tyrants often sprung from the fringe of the aristocracy. The nature of the public discontent varied from place to place. At Sicyon, Cleisthenes ruled from 600 to about 570 BC. His exploitation made him the most successful of the Orthagorids. The rule of tyrants even developed class consciousness. They were influential opportunists who continued to stay in power with the help of mercenary soldiers. Cypselus’ son Periander’s reign in Cornith lasted for 40 years. He was given the name of an evil tyrant. He died soon after the Corinthian tyranny fell in 580s. 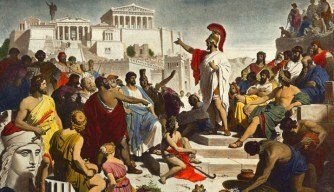 Where Sparta ignored the establishment of tyranny, Peisistratus developed tyranny in Athens during the mid of 6th century. Shortly after this, his son was expelled by King Cleomenes I of Sparta in 510. This ended the age of tyranny, but the tyrants continued to live. 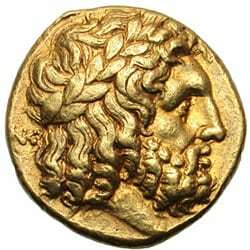 The first known coins were introduced in either Ionia in Asia Minor or Lydia at some time before 600 BC. The Greeks wanted to have payments that were authenticated. These coins were made of an alloy of gold and silver known as electrum. It was present in abundance and was highly priced. With the advancement in technology by the middle of the 6th century BC, the production of pure gold and silver coins got simpler. Accordingly, King Croesus brought forward a double metal standard that allowed currencies of pure gold and pure silver to be traded in the marketplace. Most of the cities had their own coins which were used in inter-trade processes. One such coin was silver stater or didrachm of Aegina. The city had their own symbols and signs carved on their coins. Athenian coins were struck on the “Attic” standard. It had a drachm equaling 4.3 grams of silver. As time passed, Athens’ plentiful supply of silver increased their dominance in trade. They made it the pre-eminent standard. These coins were also known as “owls” owing to their central design feature. This contributed to success as the premier trade coin of their era. Pericles was a great orator, and this quality of his brought him tremendous success in the Assembly. He introduced several reforms, among which the entry of thetes was allowed in public office. Thetes were Athenians without wealth. This provided them with a living. Another successful step was the creation of the misthophoria meaning paid function. An exceptional salary was given to the citizens who attended the courts as jurors. Athens garnered under the reign of Pericles. The state oversaw different festivities and celebrations. The construction of Parthenon also took place in the golden age of Pericles. The importance of education was thaught to the Athenians. The education of boys began in their homes up until they were seven and had to go to the school. Mathematics and music were considered as the main subjects. Physical Education was intense which grew sportsman spirit in children. Athenian society was a patriarchy and women were subjected to household work. Pericles was an unchallengeable ruler. He ruled over Athens throughout the 5th century until his death in remained in power until his death in 429 BC. 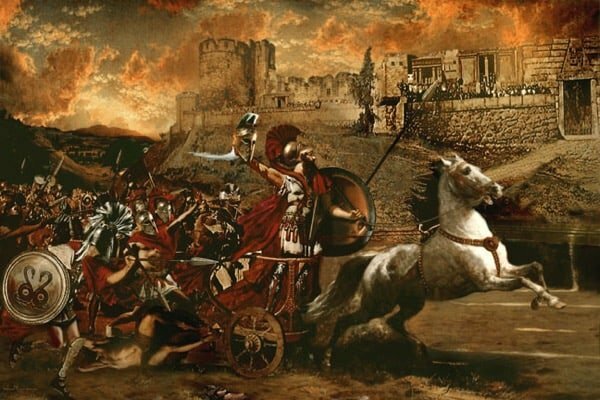 Engulfing whole of the Greek world, the Great Peloponnesian War was a titanic struggle between the two major cities of Greece; Athens and Sparta. The battle is famous mainly because of the historian Thucydides’ efforts. The Greek War was fought by the Peloponnesian League of Sparta against the Delian League of Athens. This war showcased the brilliant warfare practices of the Greeks. The battle was fought in three phases. The first phase was of the Archidamian War in which where Sparta repeatedly invaded Attica, Athens took advantage of its supremacy over the seas and raided the Peloponnese’s coast. They attempted to deploy the signs of disruption in their areas. This phase of the war ended with the signing of a treaty between the two leagues i.e. Peace of Nicias in 421 BC. The treaty was undermined with the renewed fights between the Athens and Sparta. 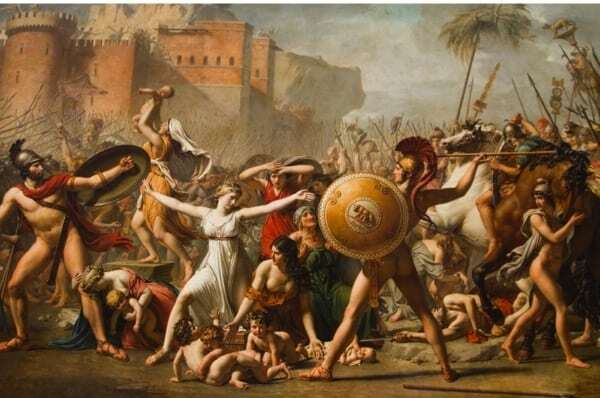 In 415 BC, Athens executed a huge expeditionary force to attack the city of Syracuse. 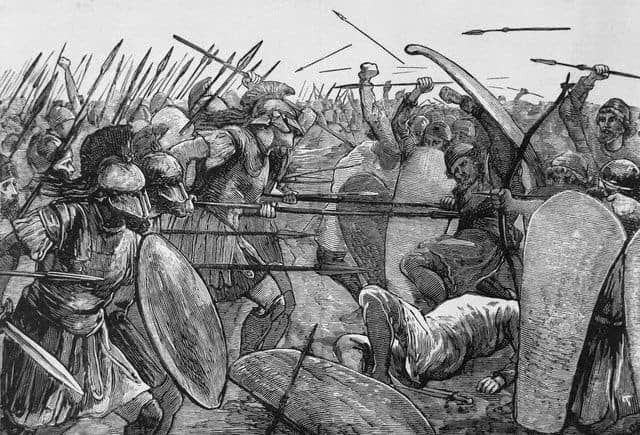 This attack failed ridiculously posing the destruction of the entire enormous army, in 413 BC. The failure was taken forward by the last phase of the war. This was referred to either as the Lonian War or the Decelean War. In the third and the last stage, Sparta received support from Persia. Rebellions took place in the subject states of Athens. The destruction of the fleet of Athens at Aegospotami ended the war. To this defeat, Athens surrendered the following year. Thebes and Cornith demanded the destruction of Athens and enslavement of its citizens, but the Spartans refused. 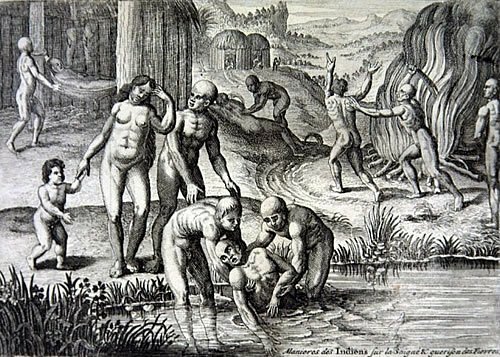 The horrible Plague of Athens was an epidemic which wrecked every corner of the Athens in ancient Greece. It is said to have entered through city’s port and the only source of food and supplies; Piraeus. The plague did not leave even the Mediterranean areas. These areas also saw an outbreak albeit with less impact. The disease made a return twice more, both in 429 BC and in the winter of 427/426 BC. According to the clues, around 30 pathogens were suggested as causing the plague. Many people died as no one took the risk of taking care of them. The epidemic had an ugly face. The dead were piled atop of each other, left to decay, or plunged into mass graves. Sometimes if those carrying the dead body came across an already burning pyre, they would dump the body they had been taking in the same fire. This even brought a religious struggle within the people. They found no result as they prayed for days and no god came to their rescue. They pointed at the plague as an act of Gods supporting Sparta. As he was awarded the generalship of Greece, he used this opportunity to launch his father’s Panhellenic project which pointed towards leading the Greeks to the conquest of Persia.He was just thirty-two when he died of Malaria in 423 Bc. He is one of the greatest names in the history and plainly impossible to forget. The Greek peninsula came under the control of Romans after the Battle of Corinth in 146 BC. Macedonia then became a Roman province. Where some Greeks managed to maintain partial independence, the others surrendered. As the King Attalus III left all his territories to the Romans in his will, the Kingdom of Pergamon fell into the Roman hands during 133 BC. Finding it hard to take claim over the same revolts took place, and it was decided that Pergamon was to be divided among Rome, Pontus, and Cappadocia. Athens following the other Greek cities held a revolt in 88 BC, but the Roman general Sulla succeeded in crushing all their aspirations to become independent. The Roman civil wars continued to devastate the land even further till the time when in 27 Bc Augustus made the Peninsula the province of Achaea. Following this, the Romans now began to invest heavily in the rebuilding of the destroyed cities. Corinth was made the capital of the newly convicted province of Achaea. Athens flourished as the centre of philosophy and learning. Final Conclusion- The Greek lands have undergone various changes. From devastation to flourishment they have seen everything. Having the most significant history, ancient Greece has witnessed both artistic as well as geographical expansions. The Greece as seen today is a residual of what it had encountered in its bygone ages.